The Concept Actve Tourer Outdoor previews the upcoming front-wheel drive BMW 1 Series GT, which will share its underpinnings with the next-generation MINI. The concept shares elements of its hybrid drivetrain with the i8 sports car, but in lower powered form. 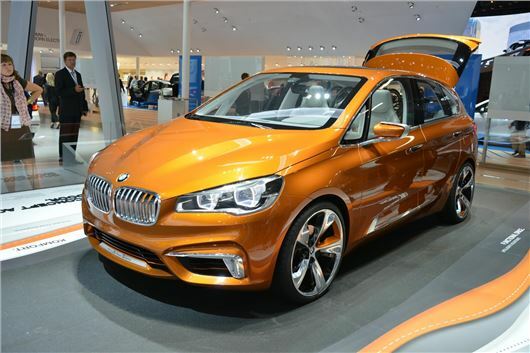 The BMW Concept Active Tourer Outdoor, is a development of the Concept Active Tourer, which was shown in New York earlier in 2013. In Outdoor form, it has chunkier styling, which is in tune with the current trend for small crossovers, such as the Renault Captur and Peugeot 2008. 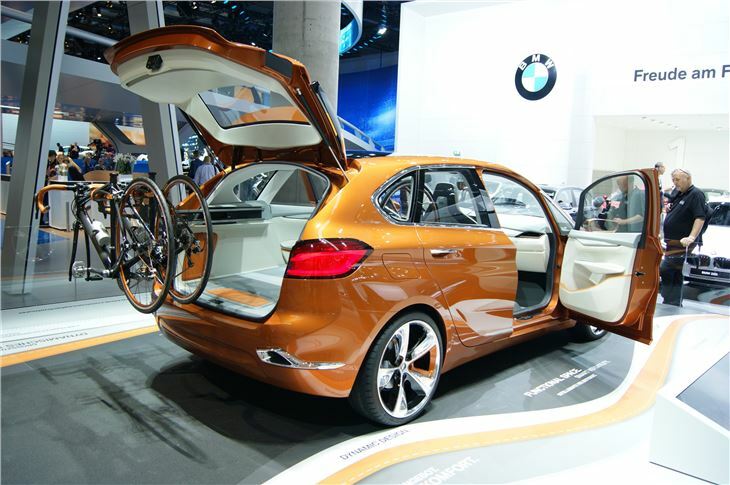 The concept boasts an integrated cycle carrier which folds away when not in use. The interior is a typical motor show flight of fancy, with a floating centre console, and a leather-trimmed luggage compartment. The Concept Active Tourer Outdoor is a plug-in hybrid that combines its high performance electric motor with the three-cylinder 1.5-litre turbocharged engine that will power the MINI when it goes on sale early next year. The combined output for the Active Tourer is 190PS, and BMW says that the innocuous looking five-door hold-all posts a 0-62mph time of around 8.0 seconds, and a maximum speed of 125mph.